Here at LWO, we work hard to ensure that each client is satisfied with our service. If you have purchased formula from us before, we welcome you to leave feedback regarding your experience by leaving a “comment” on this page. Little World Organics understands that purchasing infant formula online can be nerve-wracking, and we therefore encourage new clients to read the reviews below. Thank you ladies! We appreciate your kind words. It has been wonderful working with all three of you! Excellent customer service from Elleigh and super fast delivery! !definitely recommend ordering products from little world organics.Glad to have a place to order organic baby formula not found here in the U.S.My baby loves the taste of Holle!!! I love, love, love LWO!!! I love that they have a passion for providing our babies with the best alternative to breast milk, because let’s face it, not all mamas can produce enough to meet our baby’s needs. LWO has taken the stress and anxiety away from me trying to get the better European formulas! My sweet Carolina is thriving on HIPP organic! At 6 months she is an 18lb butterball, with no tummy issues anymore. Their customer service is always prompt and there to help and they go above and beyond! Thank you all for helping us start our children off on the best path of nutrition!! Much appreciation and gratitude from me to you all at LWO. I just received my first order from LWO and I have to say that I super impressed. They answered all of my questions prior to me placing an order and when I did order, I received my box in less than 3 days. I ordered both Hipp and Holle to try. So far, we’ve used the Hipp and to my surprise, all of my little ones tummy issues have gone and her bowel movements remind me more of breast milk poop rather than formula poop. She seems much happier! I can’t wait to try the Holle and see how she does on that as well. But I am definitely hooked and will be ordering again for sure!! I have been using the Holle formula with my baby for the last six weeks and she loves it. I had no issues switching from breast milk to formula and my baby is very happy! Whenever I place an order I receive excellent customer service, and my order arrives within days. I am very pleased and will continue to use Holle formula in the future. Thank you Elleigh and Little World Organics for the BEST formula and the BEST customer service. I am so happy that my twins have switched from a mass market American formula to Holle. They are so much more satisfied! And I feel so good about giving them formula that is most like breast milk and does not have any corn syrup solids. I will be using LWO for the 1st year of my babies life! LWO has been a lifesaver for us and our little one. Holle is the best formula out there, one that we as parents can feel good about. Elleigh is amazing at customer service and so helpful. So glad I found out about Little World Organics! I’m so happy to have discovered LWO. I love the HiPP formula for my daughter and am pleased to be able to give her a product that has allowed a smooth transition from exclusively breastfeeding for 6 months. The customer service is wonderful and the prices and shipping are equally good! Thank you for allowing me to give my baby a product I can stand behind. I am truly grateful! 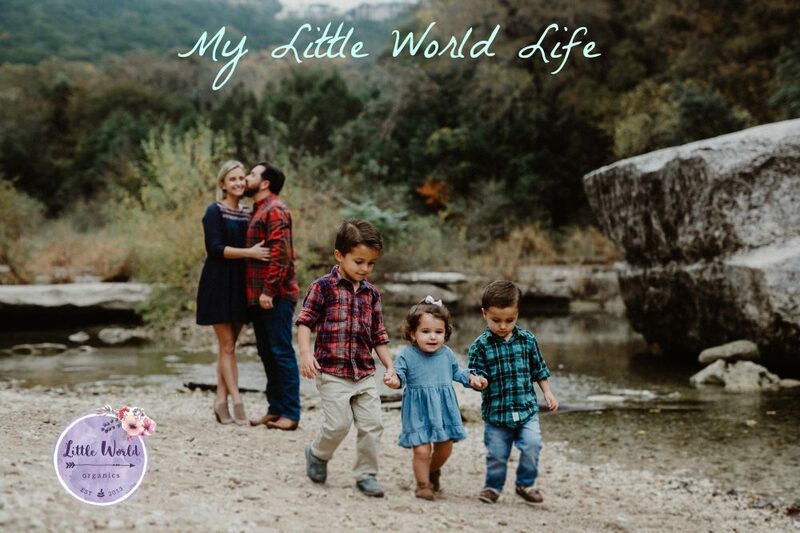 Love LittleWorldOrganics and Elleigh!…she was on top of every inquiry I had and made the transaction smooth and timely. My only irk was that the Holle formula box was a little worse for wear from the shipping but still intact. This formula will be much appreciated by my daughter-in-law when it comes to time to supplement. We both can feel confident that our little Amelia is getting the best nutrition next to Mom. We have been ordering formula for the last six months or so! We have been very impressed with the service! They are very quick to get our order out and always willing to help with any questions we have! I received my first order from LWO super fast! Elleigh was fantastic when it came to answering emails and questions. I will most definitely be ordering Holle from here. I use it to supplement, about 3 or 4 ounces a day, so it lasts awhile. I will pay this price any day over any American formula. Thanks LWO! This is my first time ordering and I just received notification of the shipment. I asked plenty of questions prior to ordering and I received very thorough and prompt answers each time – I really appreciated the time LWO took to respond to me directly. Thank you! This is probably my 5th or 6th order of Holle and I always get great customer service! LWO makes it easy to order and is responsive to questions. My 9 month old son was diagnosed with stage 4 neuroblastoma so now more than ever I realize the importance of non-GMO organic formula and was thankful to find LWO since what I wanted was not available in the US. Thanks!!! From answering all of my questions to prompt delivery of formula I am extremely pleased with LWO. I tell everyone I know having a baby about LWO and even have my pediatrician on board. I would highly recommend LWO. I’m so grateful for LWO. Great customer service and prompt delivery of formula. I’m so thankful that I can order a great formula for my little one and not have to look oversees and wait weeks for shipping. I will continue to buy HIPP Organic from LWO. Thanks! Thank you so much, Elleigh, for the quick responses to my emails and for getting my order out so quickly! I have been ordering Hipp formula from Europe for my 7 week old, and I’m so glad to have found someone here who has it. Thank you for the prompt service and super fast shipping! We love this product, and it’s good to know we don’t have to wait three weeks for it now! My Bunny’s tummy is so much happier with Holle formula than with anything I can buy at the store. Thank you for having such prompt shipping! I’m very happy with the Hipp formula for my son. Customer service is prompt in answering questions, and shipping is fast! After weaning him, it was important that I found the healthiest organic formula out there and Hipp has worked out great. I cannot begin to express my gratitude for LWO. My daughter wouldn’t take anything else – not even conventional formula (which I cringed at giving to her anyway). Hipp and Holle are simply the best brands out there – thank you, LWO, for making them available. Prompt customer service and delivery is the icing on the cake. Thank you! I was very happy with Elleigh’s patience answering all my questions, the ease of ordering and the swift delivery. I’ll be ordering more from this site! I have been so happy with LWO! The first time I ordered, the shipment came so promptly and the whole process was very easy! The website is also very helpful and I will be ordering our Holle formula from here till the babies are finished with formula!! I ordered the stage 1 Holle formula from LWO and the customer service was great. Within a few hours I had an email concerning my order and in three days from ordering, the formula was at my door. I am currently nursing, but I wanted a good formula as a backup. I’m so thankful someone is selling this in the US. Thanks LWO! After reading about US formulas I nearly panicked as I didn’t know where to turn to get an formula I could feel good about feeding my baby. Little World Organics is the perfect solution. Elleigh helped answer all my questions very quickly, even including simple things like the ratio of scoops of powder to water. (it’s in another language sometimes) The process is quick, easy and the product arrives with not much wait. What a relief to have a good source to get your baby what they need, thank you! When I was unable to breastfeed, we had a very hard time with US formulas. We even tried organics, but they were very hard on our son’s stomach. When we heard about HIPP Organic we new we wanted to try it. I was so happy to come across Little Organics! Elligh has always been so responsive and helpful. We always receive our formula when promised. The process is so easy. Thank you Elligh and LWO for your great service! I just ordered my third shipment of Holle Stage Two and I couldn’t be more pleased with the formula LWO or Elleigh. I continue to breastfeed but this saves my sanity as a supplement and I know I’m giving my daughter the next best thing! I am so happy to have found a reliable and fast place to get this fantastic formula. Also, my daughter loves it and switches between this and breastfeeding with zero issues. I’m really glad I found LWO. It has been difficult to find a formula that out little guy could tolerate AND that I felt good with the ingredients. I was worried that is Holle had to be shipped from Europe, that we might wait weeks for delivery- which wasn’t going to work in the long run. Elleigh has been so helpful answering my questions, and the shipping time is so fast!! Thank you!! I’m very happy to have found LWO online. I’ve been nursing for the last 8 months and my supply is going down. I knew nothing about formula, but knew I wanted to order something I felt comfortable giving her. I tried Enfamil for Supplementation out of desperation and she pushed it away after one sip. I finally came across LWO and all of the helpful information provided and ended up ordering Holle. I gave my daughter her first bottle tonight and she drank the whole thing! I had some concerns with it being from Europe, etc, but Elleigh put me at ease by promptly answering all of my questions. One of our boxes got damaged in shipping and Elleigh happily shipped out another box immediately without making me return the damaged box. That is fantastic customer service! Will certainly continue to use LWO going forward. Thank you! I have tried other websites to order Holle and HiPP formulas, but have had the product “get lost in shipping” without an offer to replace it. I have ordered both formulas from Little World Organics and have experienced prompt delivery of these great products. I will continue to order exclusively from Little World Organics. This is my first time purchasing Holle formula through Little World Organics and I have to say that I was impressed with the ordering process. Any questions that I had were answered quickly and my order will arrive in 4 days 🙂 Thank you Little World for your services…. its much appreciated!! I will continue to order my precious little girl’s formula through this service again and again!!! Thank you LWO for the fast shipping & quick responses to my questions! Finding Holle online is not easy, you made the experience smooth & speedy! It’s nice to know there is a company out there that understands the concerns of us Mamas. I am so grateful to have found LWO – seemingly the only reliable and consistent source of the formula that works for my sweet baby. I especially appreciate the timely responses to my questions. So glad I was able to purchase Holle formula and grateful for the speedy delivery! Great service. Thank you. I am so happy to be able to purchase Holle formula from you! You guys are so reliable and fast! It’s so comforting to know that I can give my baby girl formula with ingredients that don’t make me cringe :). Thank you so so much!! You were ABSOLUTELY AMAZING and AWESOME to work with!! You saved my daughter Chloe from being completely impacted and ER visits from her previous formula. Your shipment came in 3 days and Chloe loves her new milk and has no stomach bowl issues what so ever! I can’t thank you enough for your wonderful service! if you do not mind me asking- which one do you use ? I use HiPP first infant milk with my 7 month old. I tried Holle first, because that is what we used with my oldest son, and then I switched to Lebenswert, but he is happiest with HiPP. I was thrilled to find LWO after not being able to breastfeed at 5 months. I just couldn’t stomach giving my LO any of the formula options that were available. After a ton of research I found Lacey and LWO. My little guy is almost 1 and I have been working with Lacey since he was 5 months old. She has been amazing and a total lifesaver. He has had zero issues with the Holle. I registered for a monthly membership because I wanted to guarantee my little guy would get what he needed. My order always arrived quickly and I just used paypal to send payment. So easy and seamless. I never had to think about it. Thank you Lacey for being amazing and answering my million questions. If I have another baby and I am unable to breastfeed I will be reaching out to Lacey and LWO. After doing what felt like a year of research online, my wife and I found that Holle formulas are far and away the best option when it comes to formula. Unfortunately, they aren’t regularly available online, except for some anonymous sellers on eBay who could be selling anything. We eventually found LWO and have been thrilled with the the service and speed of Lacey’s deliveries. While Lebenswert is more expensive than the options available in the US, it’s important to us that our son have the best option available, which is what Lacey provides simply and quickly. Thanks, Lacey! It is so admirable to see a small company like Little World Organics go out there and find the next baby formulas in the world and offer them to parents here in the States. It is a much needed service indeed. A huge thank-you to Little World Organics for offering a truly wonderful service for parents to help keep their babies happy and healthy! I’ve been ordering from LWO for a year now & they are very professional & helpful. I was very upset when I wasn’t able to breastfeed & wanted the best product for my son. My little guy loves the Hippe formula & I’m so grateful to LWO for sourcing it for us! Thank you!! So happy to have found a company that provides families in the US the opportunity to purchase these wonderful infant formulas. Thank you LWO! Quick delivery and always great customer service. Thank you for providing a safe, easy way to access these formulas in the US! This company is a lifesaver!! You can trust that the formula you are getting is straight from Holle and you’re giving your baby the best there is! Lacey always responds right away to any questions and the shipment is lightening quick and you can rest assured when your supply runs low. Thanks for everything! LWO is an absolutely life saver!! My son is a little over 2 months now and it has been a struggle to say the least with postpartum issues on my end to other medical problems depleting my milk supply. My little one was having a really hard time with gas and constipation due to another formula and I searched high and low on how to get some Holle Formula and LWO to the rescue! They are quick to respond and answer and questions and the formula once ordered always comes in a timely manner! Highly recommend LWO! Thank you!! So glad to have Little World Organics to order almost impossible to find formula! Aside from providing THE best formula available, the service is top notch. The demand for the product is understandable, and thus I’ll not say much on the order form process – I believe it to be pretty decent for the circumstances (and I certainly appreciate the fact they always post, and hold to, when products and ordering will be available). Once the form is submitted, payment request are made, and orders fulfilled promptly. I’ve even come across some mistakes on my end, and they were quick to respond to my email and help me out. Great customer service! After successfully nursing my 3 older children (that all had their own nursing challenges) until they were around 14-20 months, I was floored when I incurred nursing issues with my 4th baby that I could not overcome. It was a very emotional ordeal, and I’m just so thankful to be able to find a formula that is LOADS better than what’s available from US brands , and a company that’s so easy to work with! A note about Lebenswert and Holle 1 that I have used: These formulas don’t bubble/foam up like most of the US formulas do. They mix very easily and resemble actual milk. The ease on digestion is evident in diapers as all the US formulas I tried caused my baby distress during bm’s (I was able to pump for the first 3-4 months so the back and forth transition from breast milk to formula was harsh). The US formulas caused strain to the point of small lesions and thus bleeding (btw I used all organic formulas). The Lebenswert and Holle 1 has SEEMLESS transition between bm’s! The most notable difference being the color, but the consistency was so that it was easy and seemingly unnoticeable difference in his ability to pass his waste. He was a much happier baby, and even started having consistent, and super easy bm’s while having both breast milk and the formula. So happy. It’s the best case scenario in the situation that you can’t breastfeed or pump. I felt VERY lucky to have discovered LWO back in August as my breastmilk supply dipped upon returning to work. The info on their site was super and allowed me to make informed decisions that I felt very comfortable with. Lacey answered all my questions promptly which only added to my confidence in using LWO as a supplier. I have been a customer for the last 6 months and am beyond satisfied with their service! Lebenswert is hard to find and they do a great job keeping us informed on their supply. I am so grateful!